Has Our Honor Been Restored Yet, Glenn Beck? This was the big weekend for Glenn Beck, and allegedly, America. He went from the Kennedy Center Friday night to the Lincoln Memorial Saturday, on the anniversary of Martin Luther King’s “I have a Dream Speech.” That’s three murdered progressive heroes in two days. Is there a name for that sort of psychosis? I watched over three hours of Beck’s “Restoring Honor” rally this morning. I watched it very closely. I didn’t leave the room even once. But I’m afraid I may have missed something. For months prior to the event Beck promised that it would be a turning point for America; that it would be an awakening; that miracles would happen. Well, unless a leper was healed in the reflecting pool off-camera, I must have missed the miracle. In fact, all I saw was a live, extended episode of the 700 Club with Glenn Beck as the guest host. If I had spent several hundred dollars on transportation and lodging to hear an alcoholic, drug abusing, former morning zoo radio shock jock, tell me that I should heed the word of the Lord, I would feel somewhat disappointed right about now. 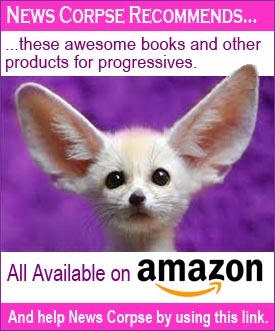 Especially if I was expecting some premium Obama bashing and anti-government blather. For the most part, Beck kept his promise to avoid politics. While there were a few indirect aspersions to political issues, the bulk of the presentation focused overwhelmingly on Christian fundamentalism. It was an old-school revival meeting without a lick of originality wherein Beck announced that America is “turning back to God.” And although he promoted the event as one that would unite all faiths, there wasn’t a single representative from Buddhism, Hinduism, Islam, or any other non-Christian sect (not to mention Atheism). The only Jewish participant was a rabbi (and former associate of convicted felon, Jack Abramoff), who was introduced on stage but did not address the crowd. Also on stage were numerous African Americans, mostly members of gospel choirs. I would venture to say that there were more African Americans on stage than amongst the tens of thousands in the audience. 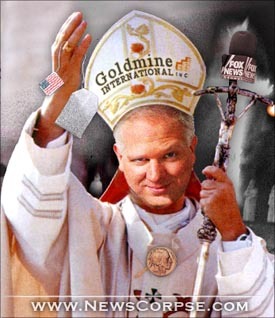 The sermon Beck delivered was notable in that he defined 9/11 as “a wake up call” from God. That may come as a surprise to those who assumed terrorists from Al Qaeda were responsible. He also stressed that “America is at a crossroads” and that “we must advance or perish.” Beck courageously declared that he would choose to advance. I guess that should silence all those radicals who think we ought to perish instead. However, I wonder if advancing might not be a little too suggestive of the progressive course that Beck so feverishly abhors. One of the most frequently expressed themes articulated by Beck was that we have been spending way too much time on what’s wrong with America and that it is now time “to concentrate on the good things in America, the things that we have accomplished – and the things that we can do tomorrow. That would be refreshing if Beck were able to sustain it for more than a heartbeat. How does he expect his flock to concentrate on the good while he is advising them to liquidate their assets and hoard gold and guns? It will be interesting to see if Beck’s new-found evangelistic optimism can be maintained for even the next week of his broadcasts, or if his familiar doomsday fear mongering will continue to dominate his message. Either way, I’m still waiting for evidence of his Miracle on the Mall. And for the record, my honor never needed restoration in the first place. Addendum: Attendance estimates for Beckapalooza have begun buzzing around the media hive. Predictably, they range from 87,000 (certified by a CBS expert analyst) to 600,000 (by the certifiably insane Beck). So, I’m not crazy. The purpose and hoped-for outcome of this rally isn’t merely vague, it has been shifting since it was announced. Interesting. And the distinctions between 9/12ers, tea baggers and “Restoring Honor” are thin at best. Ok, then. I’ve got to wonder how it is possible to sustain the activism of so many with a message and a cause that is so vague and rudderless, not to mention led by a madman. Yeeesh. James: many recognized evil charlatans like Father Coughlin and Joe McCarthy and tried to expose them in real time. There was plenty of evidence yet these dirty tricksters were able to maintain sizable and enthusiastic support in spite of contemporaneous myth-busting. I don’t understand how they did it either, except to blame it on massive, willful ignorance. All this christian nonsense makes me want to puke. Maybe Beck can lend me his magic underdrawers to hurl in? I hear it magically turns vomit into a gold nugget that I can then transform into a golden idol that may be worshiped by the completely anti-religious person I am. Beck says is knows how things end. I wonder if he realized that this little publicity stunt was the beginning of his own end? how long ’til Yertle the Turtle’s throne on mud collapses? Mark: how long is this damned thing supposed to take? The good news is: People like Beck always crash and burn eventually. The bad news is: They cause a lot of damage before they do. Beck is the shock jock who sent a gerbil through a drive through teller’s tube. His 8/28 stunt is a large scale publicity stunt like that except now he’s added the pretense of being serious. Under estimate Beck and Palin at your peril. Republicans have already promised to investigate the Obama administration and hold hearing after hearing should they regain majority in November (and they will). 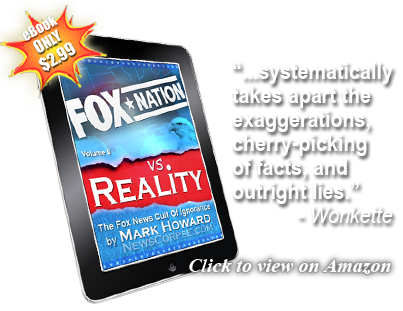 The Tea Party movement’s noise and the exhausting process of investigation will provide Beck and FOX red meat. Even though political affiliation won’t change desire to be a part of the system will. While some undecideds will “drop out” those remaining will be mostly the most vocal on either side, and given FOX which side do you suppose will dominate the noise? What we have seen thus far is nothing compared to what is coming post November.